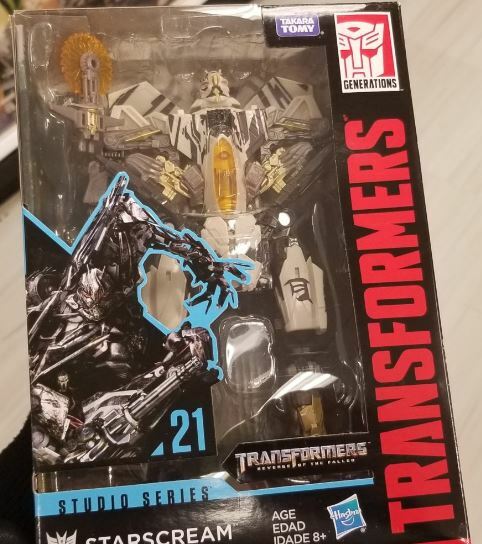 A certain well-decorated Decepticon Raptor that we first revealed to you in*July*finally landed at retail stateside, as*TFW2005 member Optimal Primus discovered Studio Series Dark of the Moon Starscream at a Target in New Jersey! See the photo proof attached to this post and remember to share your sightings news on the 2005 boards! The post Transformers Studios Series Dark of the Moon Starscream Out at U.S. Retail appeared first on Transformer World 2005 - TFW2005.COM.